Swedish naturalist and philosopher, he is especially known for his numerous theological writings proposing a reinterpretation of Biblical texts. His studies had a broad philosophical, literary and artistic influence in the 19th and 20th centuries and are a significant basis for understanding the new forms of contemporary religiousness. Main works: Opera Philosophica et Mineralia (1734); Oeconomia Regni Animalis (1740); Regnum Animale (1744-1745); De Cultu Et Amore Dei (1745); Arcana Caelestia (1749-1756); De Coelo et ejus mirabilibus (1758); Vera Christiana Religio (1771). Bibliography: A.J. Matter, Emanuel de Swedenborg, sa vie, ses écrits et sa doctrine, Paris, Didier 1863; J. Hyde, A Bibliography of the Works of Emanuel Swedenborg, Original and Translated, London, Swedenborg Society 1906; R.L. Tafel, Documents concerning the Life and Character of Swedenborg, collected, translated and annotated, 3 vols., London, Swedenborg Society 1875-1877; M. Lamm, Swedenborg. En studie ӧfver hans utveckling till mystiker och andeskådare, Stockholm, Hugo Geber 1915; Swedenborg and His Influence, eds. by E.J. Brock et al., Bryn Athyn, Academy of the New Church 1988; E. Benz, Emanuel Swedenborg: Naturforscher und Seher, München, Hermann Rinn 1948; I. Jonsson, Visionary Scientist. 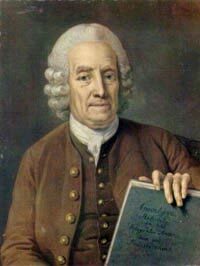 The Effect of Science and Philosophy on Swedenborg’s Cosmology, New York, Twayne 1971; I. Jonsson, Swedenborg. Sӧkarren I naturens och andens vӓrldar. Hans verkoch efterӧljd, Stockholm, Proprius 1976; F.M. 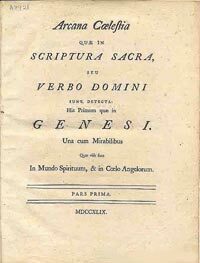 Crasta, La filosofia della natura di E. Swedenborg, Milano, Angeli 1999; W. Ross Woofenden, Swedenborg explorer’s Guidebook, West Chester, Swedenborg Foundation 2002; Scribe of Heaven: Swedenborg’s Life, Work, and Impact, eds. by J.S. Rose, S. Shotwell, M.L. Bertucci, West Chester, Swedenborg Foundation 2005. Catalogus bibliothecae Emanuelis Swedenborgii iuxta editionem primam. Denuo edidit A.H. Stroh. Iusta editionem primam [A facsimile of the 1779 edition], Holmiae, Ex Officina Aftonbladet 1907, 16 p.
The sale catalogue drawn up at the death of Swedenborg lists 470 bibliographic descriptions articulated according to format, divided in a document summary and in two appendices which list books which most probably were not part of the library of Swedenborg, but sold in the same auction. Indices of names and the classification scheme are missing. The books of the library were sold, on 28 November 1772, at Chamber’s in Stockholm. A copy of the original catalogue, published in octavo, is kept at the Royal Library of Stockholm, while two other copies can be found at the Carolina Rediviva Library in Uppsala. 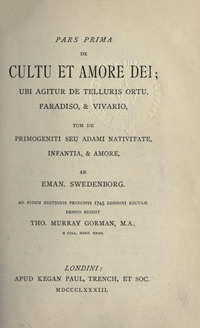 A part of the books included in the catalogue list can be found in the Swedenborg Library of the Academy of New Church in Bryn Athyn, Pennsylvania. The catalogue was alphabetically reorganized and republished with the title "Swedenborg’s Library. An Alphabetical List", in The New Philosophy, LXXII, 1, 1969, pp. 115-126.